The Boat Floater Shallow Water lift needs only 26” minimum water depth plus the boat draft. It features Shallow Water Boat Floater designed polyethylene tanks carrying a limited lifetime warranty. 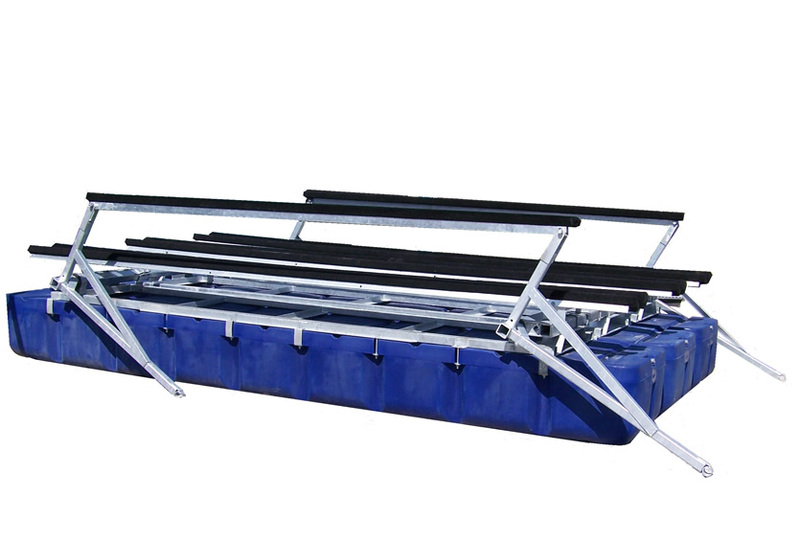 Boat Floater offers more shallow water applications to accommodate your 9’ wide boat slip or larger. The lift is available in 4,000, 6,000 and 8,000 lb. capacities. The galvanized steel components of the boat lift are above the water guarding against rust and marine growth. Heavy duty polyethylene bushings assure quiet operation. There is no “boat lift squeak” and no side to side movement. Boat Floater has also designed the polyethylene dock bracket and L arm covers for this lift which protects your boat from the hardware. There are no exposes steel connections. Easy boat positioning and controls make this Boat Floater lift easy to operate for anyone in the family.